Stevia is not so much as a super food but a super sugar alternative. 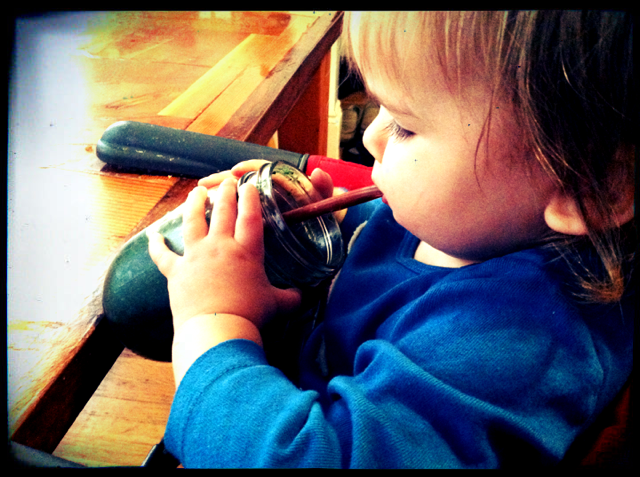 These days you may here more and more about the detriments of sugar. Why is sugar so bad? I could write you a mega-list. But I will say this: sugar (refined cane/corn) offers a load of calories without any nutrition. With that being said I am a huge advocate of asking your self, why do you eat? For taste alone? Nope, we eat to live, for nutrition & fuel… and flavor comes in a very respectable second place. I could go on and on about sugar, it is addictive, causes inflammation and it is delicious. I am human and love it too, but rock it in mucho moderation. 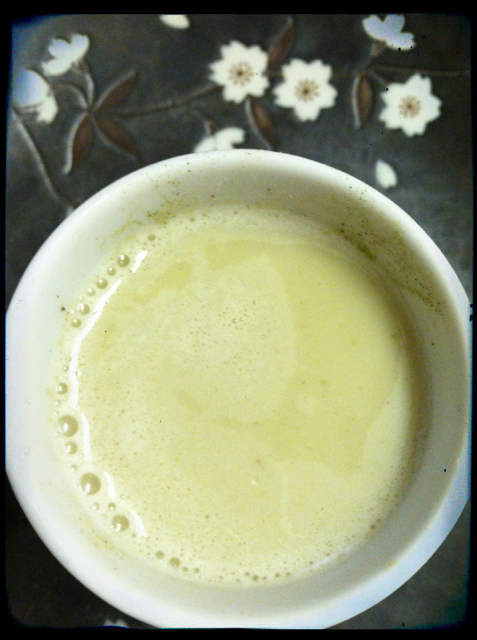 These days it makes me go bananas if I eat to much of it and sometimes even gives me an insta-sore throat. Taking time to notice sugar’s more long-term effects may help you develop a different relationship with it. So much of my work with clients explores with the concept of crowding out. This means instead of quitting bad habits cold turkey, create new habits to crowd out old ones that don’t serve you. Examples: Herbal teas for coffee, exercise for over active mind, stevia for sugar! So back to stevia, it goes by quite a few names and comes in quite a few different forms. My favorite name, just simply ‘sweet leaf’. Stevia is 300x sweeter than sugar! Holy moly, so a little goes a long way. Just like all of the Powerful Powders in this series. Stevia is native to both North and South Americas. It has a long history in South America where it was primarily used to sweeten medicines and teas (yerba mate). Japan made stevia available decades ago but just approved in the EU in 2011 (there were issues in how to classify it, as a sweetener or supplement). It takes a minute to get used to the unique, sweet flavor. 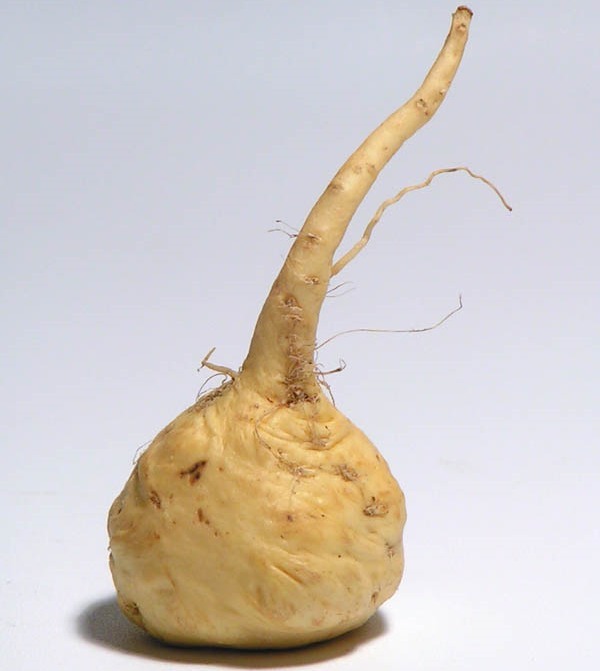 It also may take a moment to figure out exactly how to use it because it is SO potent. Think of stevia not as a food, for it is calorie free, but more like a flavor enhancer, like cinnamon. 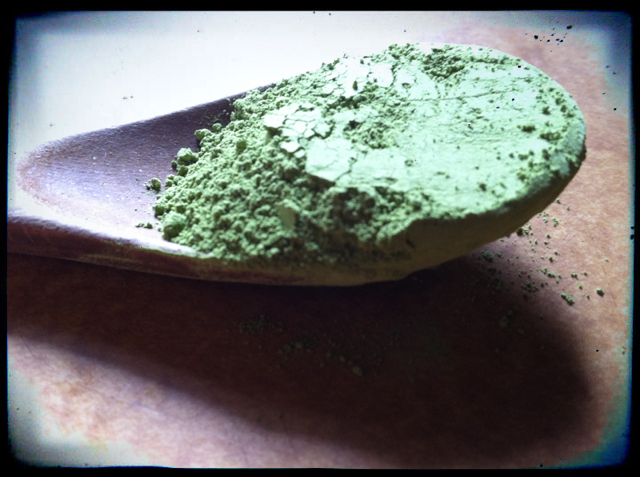 You will find stevia in powder and liquid forms. Many packets (the white stuff) is rather processed, to alleviate the bitter flavor that many people dislike. 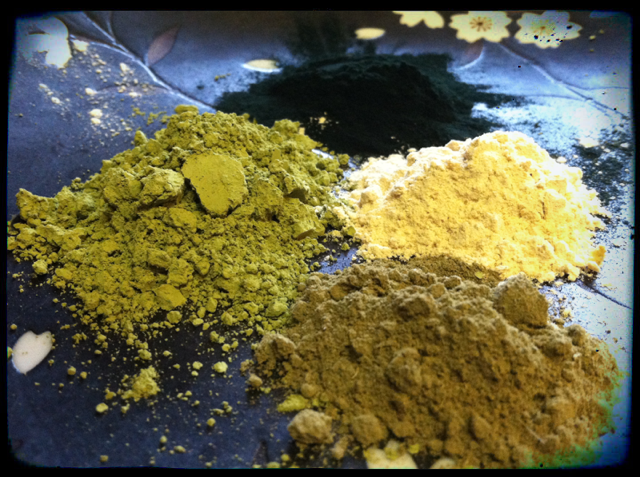 Different sweet compounds called glycocsides and steviocides are isolated, processed and either dried or mixed with water to form an easy to use product. Personally I just use the ground green leaf, found in bulk at my local food co-op. I like my foods closest to whole. 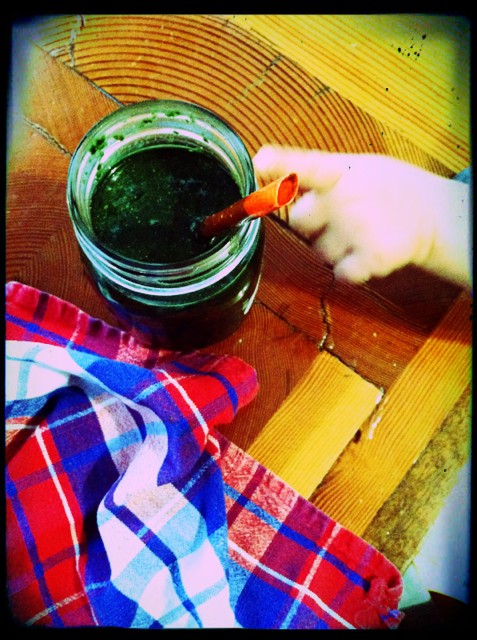 Stevia makes an appearance in my home mainly as a compliment to smoothies. Personally I could go stevia free in smoothies BUT if I want my husband to drink them they NEED to be sweet as soon as they hit the tongue. 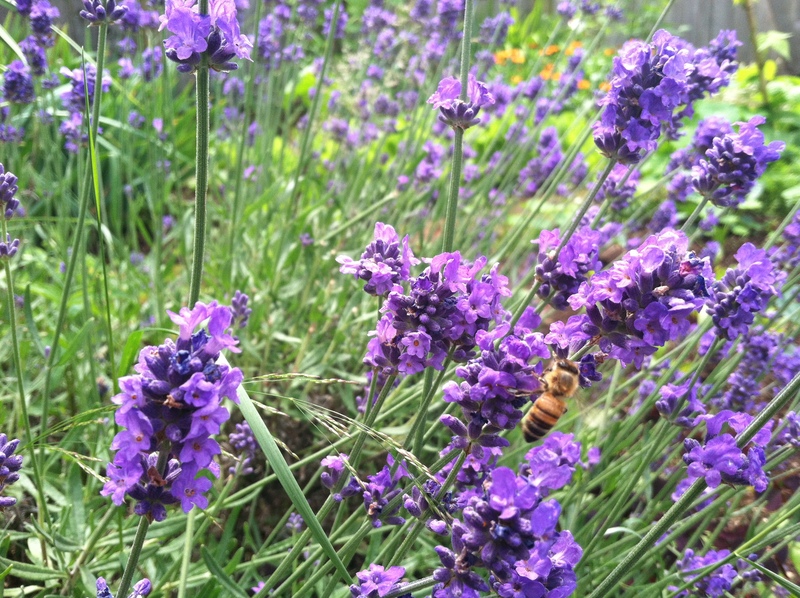 This lady loves her stevia, here is a great macaroon recipe. You can bake with it, preserve with it and basically supplement it all around for sugar. As usual, I recommend reading your labels,usage ratios are often provided. Giving your blood a much needed break from insulin spikes, which subsequently offers you more blood sugar stability, so you don’t crash & burn. You can find stevia all over the place now, some products more processed than others. 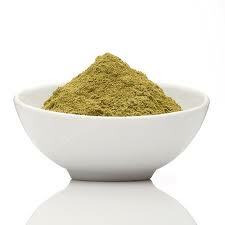 In conclusion, stevia is a great calorie free, low glycemic, carbohydrate free sugar alternative. Read labels, look out for ‘natural flavors’, buy organic, minimally processed products. Understanding your relationship to sweetness can be very complex. What is your sweetness style? Posted in Super foods and tagged alternative, health, healthy, healthy eating, healthy-living, stevia, sugar, sweeteners. Bookmark the permalink. These past 2 weeks have been full of clean meals. No sugar, wheat or dairy. I call it time to rebalance. Rebalance clean eating plan, is a whole foods detox menu I created for my self and for wonderful, willing clients who want to take a break from sugar and eat nourishing seasonal foods. It is a great way to recover, rebalance and refresh from holiday mayhem. 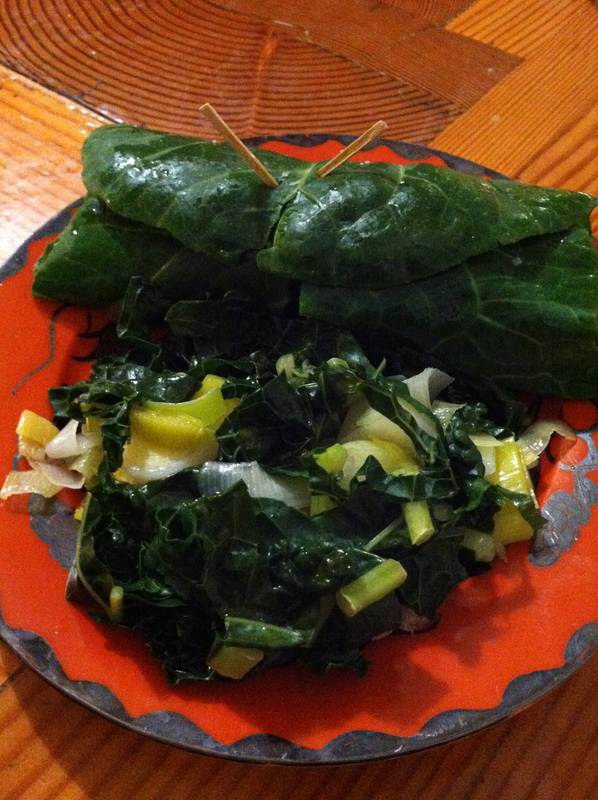 Below is an improvisation on a Rebalance lunch option, Collard wraps. 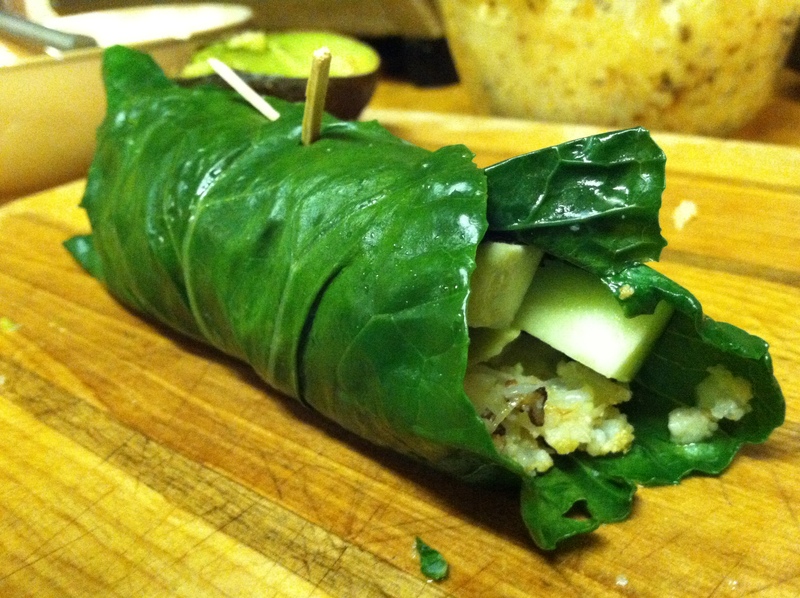 I created this new version of the recipe last week when a paleo friend came to visit for lunch. I love it even more than the original brown rice version. Preheat oven to 400. Coarsely chop cauliflower and spread on a baking sheet, drizzle with olive oil, a pinch of salt and toss. Pop in the oven for 20 minutes. When cauliflower is finished roasting you can 1)mash it with a potato masher 2) send it through the food processor. 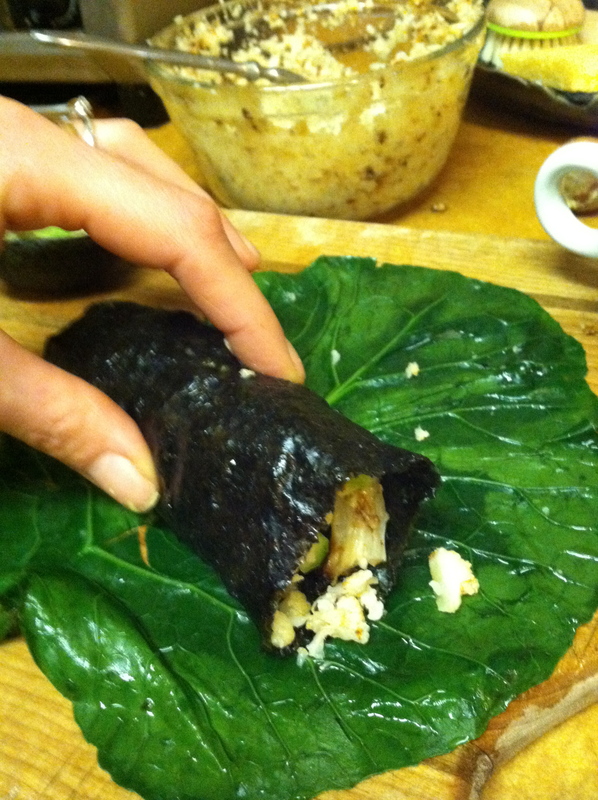 Either way, you want it to be mashed, larger pieces may break the nori when you roll it. 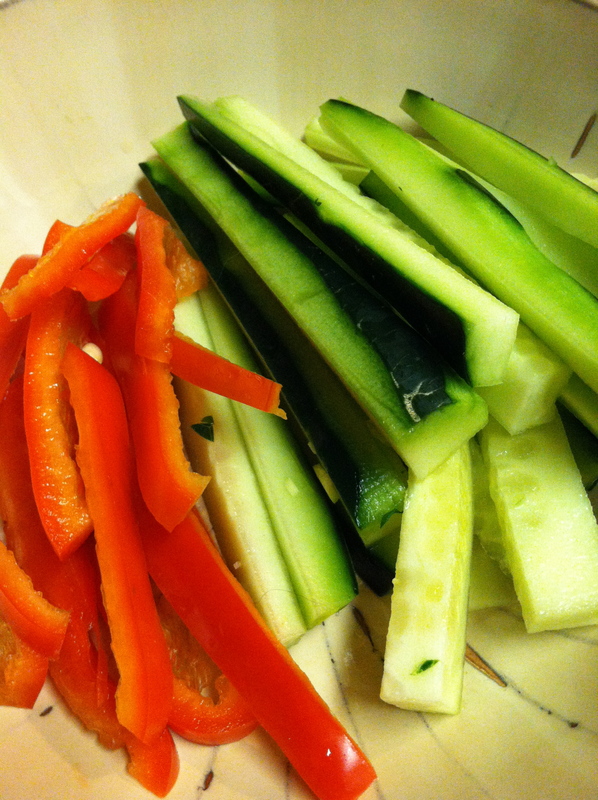 Prep your fresh veggies & thinly slice them. 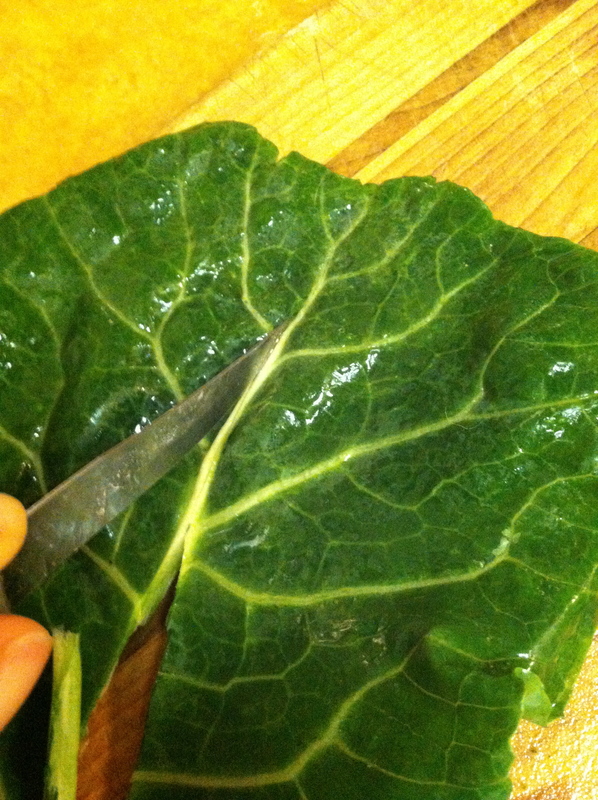 Lay the collard leaf dark green side down. 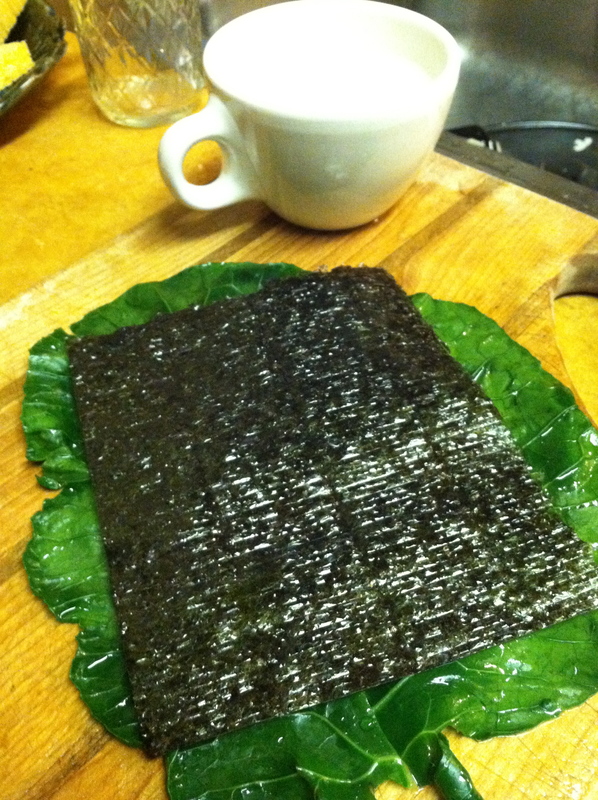 Place the nori sheet on top of it. Sprinkle a little bit of water on the nori and gently rub it so that it moistens up, this way it will not tear when you roll it, noti is delicate. Next spread a layer of cauliflower over the nori. Then place veggie spears horizontally covering about 1/3-1/2 of the cauliflower mixture. 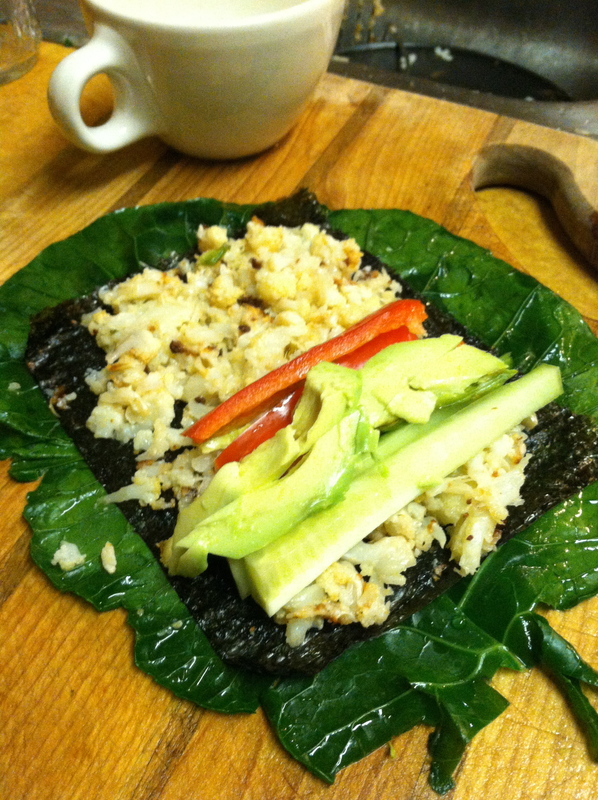 Next, you roll, just the nori, away from you. 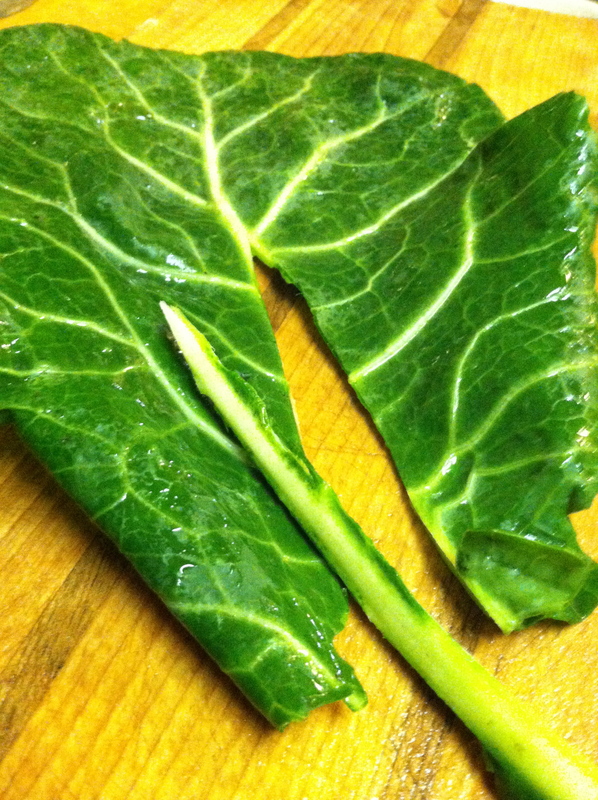 Then take your nori roll and gently bring it back to the base of the collard and wrap the collard around it and roll away from you. This creates a very durable, holdable wrap that will not fall apart. Secure with 1-2 toothpicks or wrap in saran wrap for later. These are delicious and one is quite filling. We had these for dinner tonight with a side of sauteed leeks & kale. Simply delicious. 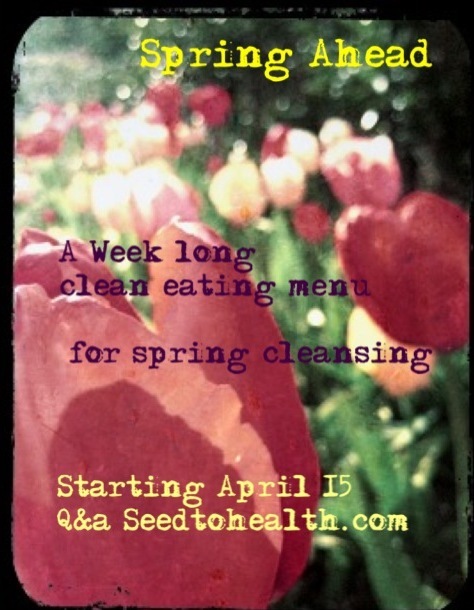 Interested in a doing a gentle-5 day detox? It has been a huge hit so far and round two is coming up on Monday January, 14th. This is by no means a time for deprivation, fasting or drinking all of your meals. Rebalance is a chance to eat seasonal foods that allow your body to heal itself, you get full support, meal plan, food preparation guide.. and a FREE health consultation following the detox. Posted in Recipes, Uncategorized and tagged cauliflower, clean eating, cleanse, collards, detox, dinner, food, health, healthy, lunch, meal plan, new year, nori, recipes, resolutions, seasonal foods, wraps. Bookmark the permalink. Do you ever feel overwhelmed by all the health news and advice out there? I do, but it is my job to read it, then synthesis it to offer a streamlined synopsis to clients. We live in an epic time where there is more to do, try, see and more to read than ever before. Technology offers us plenty of advantages but also it entices many of us to multi-task ALL. DAY. LONG. Which brings me to the topic of smart phones. I recently took the plunge and invested in a smartphone. I loved it right off the bat! But I found in the beginning every time I had a spare moment I would reach for it. See, I knew this would happen, which was part of my resistance to getting one. Being without one for the last couple of years has offered me a front row seat to how everyone is looking down, down at their little information bot. One day I was in a restaurant with a friend, we showed up during a rush and found a back corner spot to post up in. We were chatting up a storm. When there was a tiny lull in our engagement I listened to our surroundings and thought, wow it is really quiet. I figured everyone had cleared out. Low and behold when I turned around to look, the place was full of occupied 2 and 4 top tables. Everyone was eating and looking at their phones. I thought this was totally crazy town. This is just one of many experiences I have had that exposed me to the addictive nature of these devices. Convenient information and social media stimulates the reward system in our brain, that very spark will keep us coming back for more and more. I think it is awesome that there is so much incredible information at our fingertips but the question I have to ask is, does it truly benefit us? Or does it offer a sensory overload and create more stress? Does it make us ‘busy’ all the time? Are you in sensory overload mode? When you go outside, leave your phone behind. ….and if you are a parent try your hardest not to let your children compete with a smartphone for your attention. If you cannot fathom adopting any of the above recommendations then you need to arm your body with the tools to keep it strong and heal itself. This means busting stress and eating well. Note that that chronic multi-tasking and information overload causes stress. Chronic stress leads to inflammation which is the root of many diseases. If you have some extra time, do not be scared of peace & quiet. So, can we have our cake and eat it too? As long as it is not at the expense of others OR our health. 2012 is prime time to take charge of your health and healing. There are more toxins, distractions and stress than ever before. Are you too busy to take time out for self care and your health? Need a hand, be in touch, it is my specialty. Posted in Uncategorized and tagged addiction, cellphone radiation, health, health solutions, healthy-living, multi-tasking, sensory overload, smart phones, stress. Bookmark the permalink.